Axed: Banshee, Welcome to Sweden. 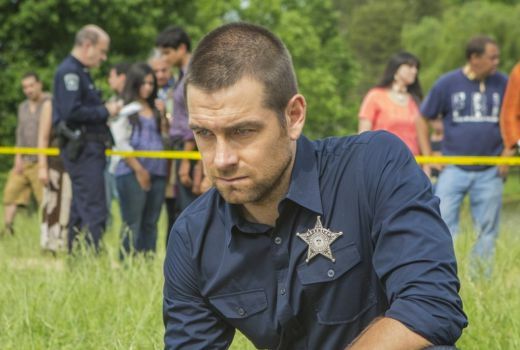 US drama Banshee, featuring New Zealand actor Antony Starr, will end with its upcoming fourth season. The Hollywood Reporter notes Cinemax is not proceeding with a fifth season. The series centres on Lucas Hood (Starr), an ex-con and master thief who tracks down Carrie Hopewell (Ivana Milicevic), his former lover and partner in crime, who has reinvented herself as the wife of the Banshee, Pennsylvania prosecutor. Banshee‘s fourth season debuts in 2016. Meanwhile NBC has also axed Welcome to Sweden by Greg Poehler. Greg Poehler said on social media: “Due to some craptastically low ratings in the US, WTS is officially done. I am eternally grateful to all of our fans. When you make a show – and write, produce, obsess and and [sic] act in it – all you want is for someone, somewhere, to tell you they appreciate it. There have been so many of you in both Sweden and the US that have done so, and every compliment has made me immeasurably happy. So, thank you. Thank you, thank you, thank you!!!! I’m sitting here crying, but mostly because I’ll prob never work with Josephine, Christopher, Lena, Per and Claes again. They are among the best people I’ve ever met and I am so so happy and grateful that they let me act with them. The series is currently airing on the Comedy Channel. I really like Welcome To Sweden! Very sorry to see it go. Also Banshee, but they had a good run and it’s probably time to wrap it up. Bugger… On pure entertainment value, ‘Banshee’ is one of my favourite shows on TV at the moment! I gave up on Banshee after 2 seasons. Banshee Origins (online content) much more interesting.